After 3 months of packing and letting go of “stuff” on different levels, I’m on the other side of my decision to leave Canada and move to Israel. The flight was long, but relatively painless, and I’m back to work 2 days later which suits me well. I timed my flight to coincide with the traditional sacred day of Imbolc, (or Tu’bishvat? ), “The first stirrings of spring”. It is a cross-quarter station of the sun in the cycle of the year, midpoint between the winter solstice and spring equinox. A symbolic act synchronizing a major life change with the bigger cycle of life on the planet. Like catching a ride on the wheel of the year. What to pack, to ship, or leave behind was an ongoing dilemma. I crammed 95% tools and materials into my 3 Stanley toolbox “suitcases”, both for apothecary work and carving, with a sentimental grabbing of Ebony, Jet and antler. I topped my permitted 70 kilograms of luggage with lab-glass wrapped in socks and tee shirts. Our priorities become apparent when the crunch is on. Back in stock. 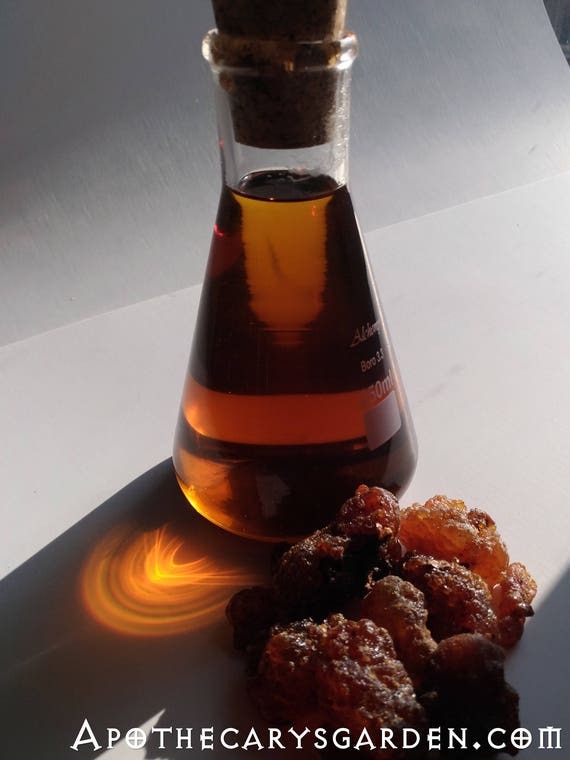 Fresh co-op harvested Frankincense Frereana- from Somaliland-” Maydi or Yemenite Chewing Gum” is an exquisite material for making incense, perfume, cosmetics and medicine. To my delight, I discovered the rare, fragrant and oh so chewable Frankincense Frereana was waiting for me here. As of now, it is officially, and finally back in stock. I can get the first distillation of pre-ordered Boswellia Frereana essential oil up and running! WooHoo!!! With any luck I will record a video of the process and share it.. These are the new items I will post in the Etsy shop over the next while. I will describe them in greater detail in the store, but for now here is a glimpse. – Frankincense Frereana Rejuvenative Creme. A Frankincense Frereana rejuvenative creme using the whole oleoresin, not just the essential oils, simple whole and no fragrance added. A traditional cosmetic and anti-aging product that includes the therapeutic properties of the resin as well as the essential oils of Boswellia Frereana. Spruce Oil-an Astrodynamic preparation. Ready to use straight or in your own formulas. The messy sap and oil extraction process already done. 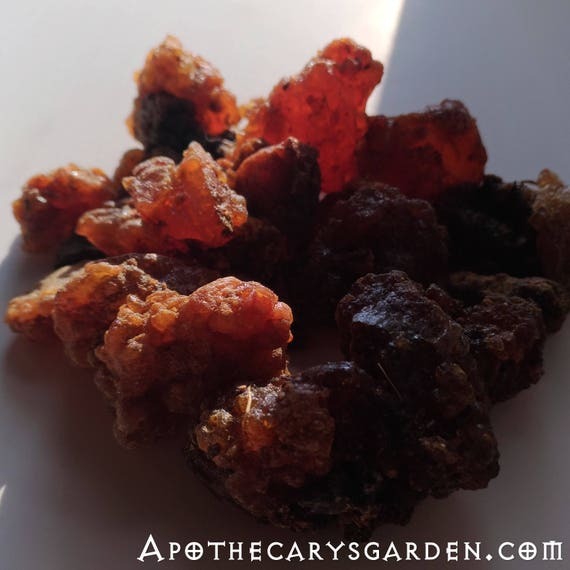 Frankincense Neglecta oleo Extract. My “Heartsease oil”. Nothing external compares to the calming effect this has on the physical pangs of anxiety, heartache, panic, and tightness of the chest from stress. My topical and natural Xanax. Reports indicate it might help with the constriction associated with asthma attacks as well. It may be due to the presence of Incensole and Incensole Acetate, but, studies are conflicting on the constituents of Boswellia Neglecta at this point. 5-fold Perfume Tincture of Muskrat Musk glands. 5-fold Muskrat musk gland perfume tincture. Fresh material macerated in the the menstruum/alcohol 5 times. I distilled this from the oleoresin of local Ontario Red Pines about 6 years ago. It resurfaced during the move. During distillation, I reserved the first 20% that came over, and kept it separate, leaving a slightly sweeter essential oil minus some of the terpene notes. Like many resinous essential oils, it improves with time. I have about 20 10 ml. bottles left. That’s it for now. Time to address the inevitable red tape and bureaucracy , open a bank account, get a local phone, find new suppliers, rates at the post office, and to pack and ship orders to those of you who have been waiting patiently for this move to end. I can’t wait to dig into work, tincturing, distilling and getting the lab up and running at full speed again! The ride might have been hairy till now, but with all the wonderful medicinal and aromatic materials to work with close by, both in Africa and the Mediterranean, it’s also bound to be well worth the upheaval and change. So nice to read about your very pleasant move, Dan. I had the misfortune to be moving (still am driving cross country…) during a Mercury retrograde, and it has been trying as all get out. Reading your post has given me courage. No matter where you are, you are a wonderful inspiration and I send you brightest blessings and wish you continued discovery and happiness. Thank you so much for you blessings and wishes. I hope the sun rises on your travels soon and brightens your path. As said in the Tao Tse Ching, “Even the greatest storm doesn’t last forever. Hang in there Chris. Sometimes things only make sense in hindsight. Warm regards and best wishes to you for a speedy and happy end to your trials. For everyone reading the comments-let me highly recommend-with no reservations-Dan’s Frankincense Rejuvenative Cream! I was lucky to get some from Dan last year and it has made a significant improvement to my aged, sun damaged skin, especially in the decolletage area. Dan-thanks for the wise, kind words. We (the 4 cats and I) arrived in Philadelphia on 2/6, the weather was like spring, nothing broke during the move, the rental house feels lived in already and the nicest thing is that I KNOW I made the right decision to move “back home.” Positive words from you and other dear friends and co-workers did, indeed, make the journey more bearable. Even though we have never met in face time, you are a kindly light on my path. May you be filled with the dynamic energy of the third act of life in your new home! It is such a pleasure to read this poetic text 🙂 I am really, really glad for you to be in such a paradise and joyful. Dan! How exciting with all the new products and opportunities! Nice way to balance the upheaval a move can be. My family absolutely treasure the amazing different frankincenses we received at the new year!!! It is moving and transforming to experience the aroma of the resin. I would very much like to have one of the 10 ml bottles of Red Pine oil but I did not see it on the shop yet. Looking forward to hearing more about your journey and the plants you find. I am very interested in Helichrysum italicum. So nice to hear from you! 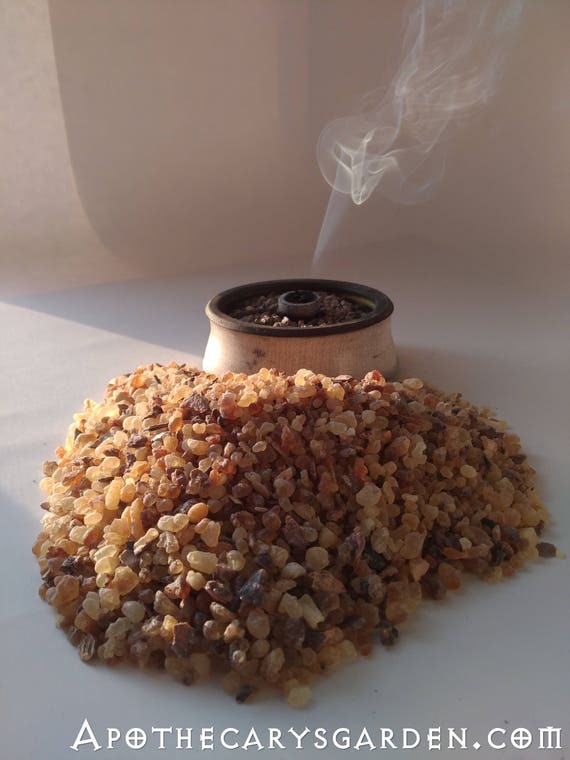 I am pleased you and your family are getting so much from the Frankincense resins. They truly are treasures! I hope to do the write-up for the red Pine essential oil and have it in the store by the weekend. Just in case there are unforeseen delays, you can also purchase the White Spruce essential oil in the store anytime, and leave me a note with the order to send you the Pine instead. I will keep my eye open for Helichrysum italicum for you on my travels.